Mittens are essential for cold days and my kids tend to lose them on a regular basis. Sound familiar? Now you can make a whole bunch of them for next to nothing with this free fleece mittens sewing pattern. See how below! This free fleece mittens sewing pattern is especially made for busy mommies, grandmas, aunties and anyone who doesn’t want to mess with an intricate design or many steps. Yes! That’s my kind of sewing! Is it yours too? And BTW, I have a free leg warmers pattern to match right HERE! 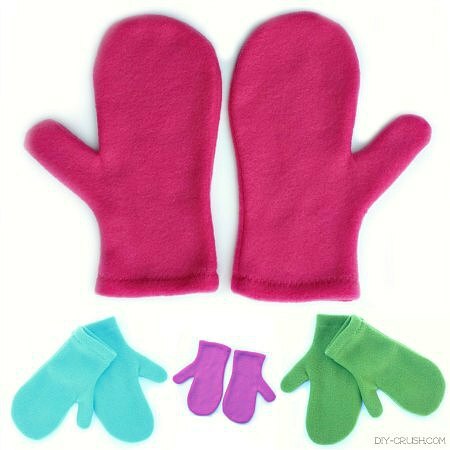 These mittens come in three size groups which are small, medium and large. They will fit for toddlers through small adult. The templates are downloadable. 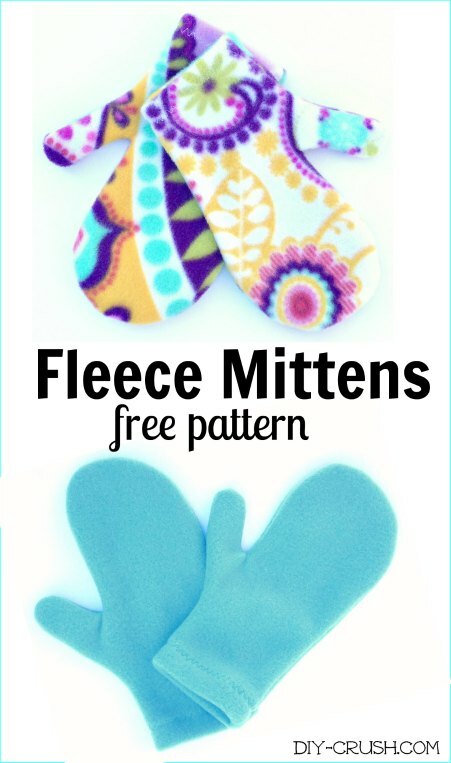 Let’s sew this free fleece mittens sewing pattern! With the printed side facing down (if applicable), fold up the bottom edge 1/2″ and pin, then sew in place using a wide zigzag stitch or wide stretch stitch. Sew right over the cut edge. Repeat with second side of mitten. Repeat with other set of two mitten pieces. 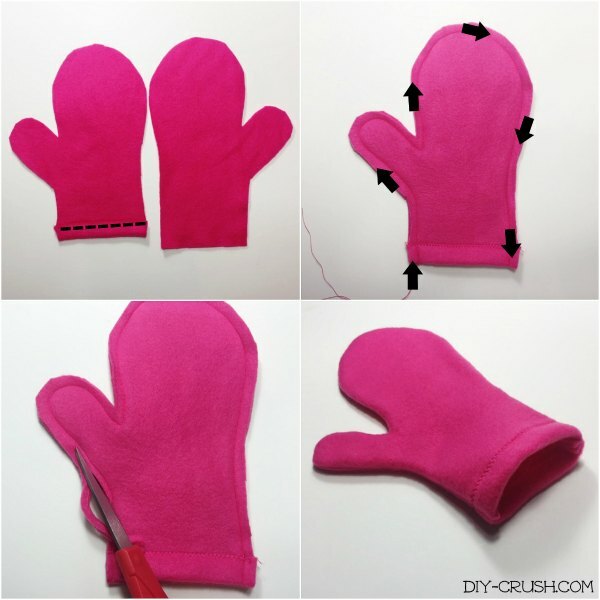 Place two mitten pieces with right sides together and pin, then sew around the perimeter with a straight stitch. Seam allowance is 1/2″. Backstitch the beginning and end. Repeat with other two mitten pieces. Trim off about half of the seam allowance around the perimeter. This will reduce bulk once the mittens are turned with right sides out. Repeat with other mitten. All done! Enjoy your new fleece mittens! If you like this FREEBIE, please share it with your friends! 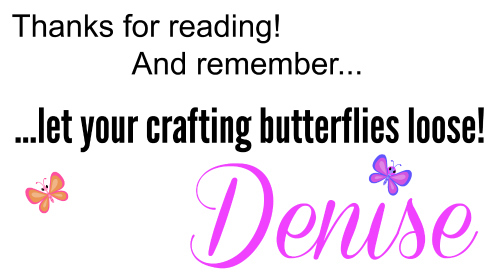 And don’t forget to hop on the mailing list!! Want to be the first to know when free patterns (such as the pom pom fleece hat or the faux fur muff are posted, would you like us to email you when we have a new post up? Please subscribe via the box in the sidebar. 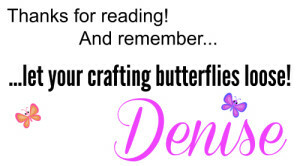 Thanks for sharing and will use this pattern. So cute. Good for me at novice level, thanks. Can’t access the mailing list sign-up on this page on my iPad. Is there another one somewhere else please? Hello, maybe you could write me in English or German? I don’t speak any Spanish. Wonderful DIY! So cute and easy to make. Thanks so much for sharing with us. Thank you for this pattern. It will definitely be used. I am a bit confused, are these mittens lined with the second set of mitten pieces? Thankyou so much! I pin’d it! Terrific! I found that I could just sew them with a 1/4″ seam allowance, and then I didn’t have to trim any excess. My grandkids love them!